“The definition of ‘insanity’ is doing the same thing over again and expecting different results.”- random counselor in the movie 28 Days. Ok, that’s not the real definition of that word, but that is what that word might mean to others as they observe my faith in this current stage of my life. You see, I am currently unemployed… for the third time in my adult life. The first time began in 2012 when I was laid off from my then-employer. I was unemployed that time for 13 months but I was in grad school, so I didn’t actually notice the unemployment. The second time was last May when I was unexpectedly fired from my then-employer. That bout of unemployment lasted five months, before I became a substitute teacher in my county’s public school system. And now, my third round of unemployment began on June 22nd as the result of lack of grant funding for my position… but this time will be different. In each of my previous seasons of unemployment, I frantically searched and applied for jobs because I had to earn a paycheck. I grew up in a Jamaican household- unemployment was literally a foreign concept to my family. My mother always taught me to never leave one job without another job in my back pocket, so as I sat unemployed for months at a time, I felt like a failure. I listened to my mother’s voice regarding employment and followed the success stories of my friends on social media, causing me to feel worse about myself and my situation. I felt like I should have been doing more with my life because all of my peers were doing bigger and better things than I was. Not surprisingly, all of those comparisons contributed to my insecurity, self-hate, gluttonous lifestyle, and depression. This time I see God’s hand in my situation. Yesterday’s sermon at my church (click here to view it) rocked me to my core. As my church’s senior pastor brought forth the word from God, I realized that so often I had accepted positions because they were familiar and comfortable, thinking God wanted me to go there, but not realizing that it was far from God’s plan. In life, God will give us options/choices, but He will not state which one He knows is best for us (remember, we have free will). In order for me to know what God had planned for my life, I had to know God. Novel concept, right? In knowing Him, I now know that He has called me to become a Christian Fiction Author, a Facilitator/Instructor, and a Counselor. Those are the three things that He has explicitly told me I will do with my remaining time on this side. Those three titles represent what He has prepared me to do as I serve in His kingdom, while staying in my ministry lane. Not a one of those areas is easy to do, and aside from the counselor, none of them were ever on my personal radar. Yet that is where God is preparing me to go. And my heart believes and receives it. So how did I come to know God and His plan for my life??? I opened my bible, my heart, and my schedule. So, right there, we see that the Word is God. If I want to get to know God and His plan for my life, I must turn to Him… and He is the Word. He is the Bible and the Bible is Him. Before the Word was written, God was the Word and even until the end of time, God is still the Word. Everything you could ever possibly want to know about God is listed in the many words between Genesis and Revelation. How much does God love you? John 3:16. How should I pray to God? Matthew 6:9-13. Beloved, there is no trick or magic solution- if you want to know God, you must read His Word. I was born in September and, according to the Zodiac Calendar (which I do NOT follow anymore), I am a Virgo. Typically, Virgos are said to be very emotional beings, who live and breathe by their hearts. While I no longer subscribe to the idea of astrological signs and the like, I do know that statement to be true- I move with my heart. It is from my heart that I am able to love others; it is from my heart that I am able to connect with others. I am able to know God and His plans for my life because I open the eyes of my heart and see things as He would have me to see them. Romans 10:9-10 says, “that if you confess with your mouth the Lord Jesus and believe in your heart that God has raised Him from the dead, you will be saved. For with the heart one believes unto righteousness, and with the mouth confession is made unto salvation.” The heart is so important to God and to our belief in Jesus the Christ. God does not want a religion with us, He wants a relationship with us. I open my heart so that I can invite God in to dwell. And just like inviting someone into my house for a visit or a meal, I want to know the One who dwells in the home of my heart. In order to have a successful relationship with family, friends, or a romantic partner, we must be willing to invest some time into the relationship. We have to declare that that person is important to us and open our schedules to have fellowship and oneness with that person. The same is true for God. In order to have the relationship that He desires to have with us, we must give Him time. This time can be spent in prayer, in fellowship with His church (because we are the church, not a physical building), or in His Word. However we choose to do it, God wants to be with us and have quality time with Him. Once we open these three things, we will begin to hear and understand the voice of God. From there all we need to do is surrender and say YES, trusting that God is able to do greater than we could ever imagine. I gave God my YES many times since February 26, 2017 when I was in a car accident that changed my life. And I still gave Him a YES even when I became unemployed for the second time in May of the same year. As life tries to take me out, I continue to give God my YES, fully trusting that He is able to work everything out for my good, as Romans 8:28 says. So contrary to what some may believe, this is an example of insane faith, not insanity. I needed this today…right now! Your blogs bless many. Keep being obedient! I’m blessed that it was a blessing! Praise be to God! 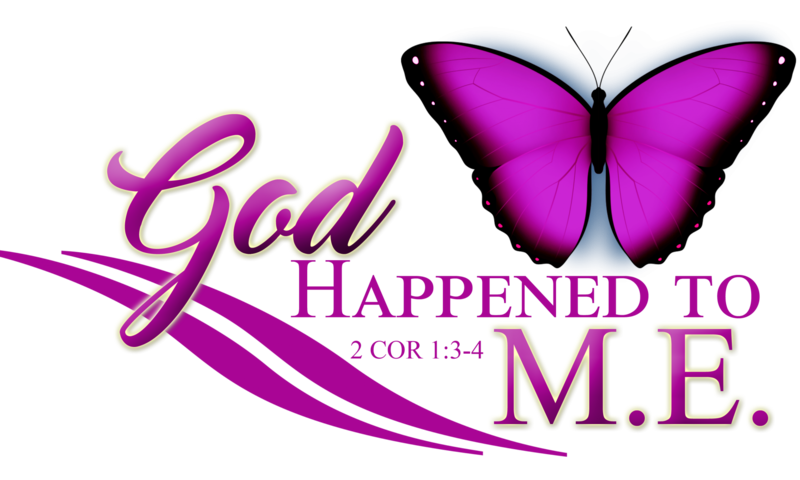 Pingback: Move… – God Happened To M.E.